Research, development and innovation has been identified by Griffith College as one of its key strategic objectives. It also includes the writing, interpretation and dissemination of research within and beyond the academic community; the organising of conferences; the generating of research income and the enabling of staff and learners to become members of the College’s research community. 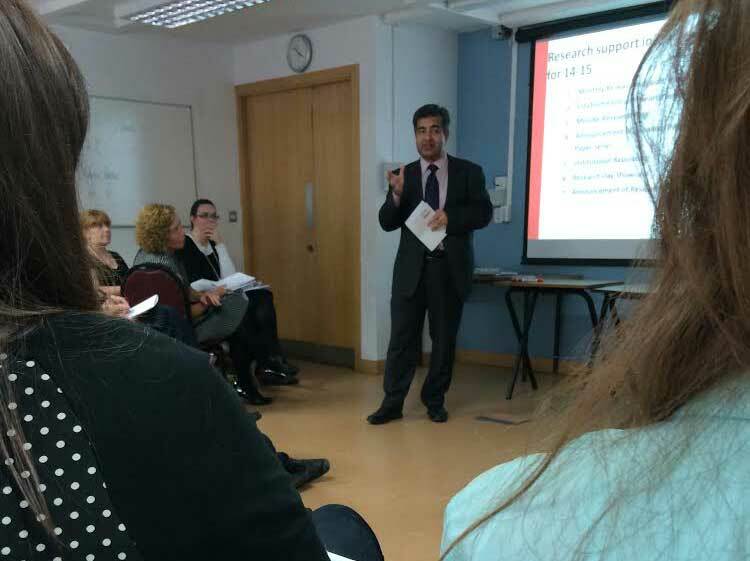 Research in Griffith College is not limited to research on teaching and learning (although this remains an area of significant importance to the College) but includes discipline specific and applied research. The College’s Centre for Promoting Academic Excellence continues to promote research in relation to pedagogical practice and by doing so contributes to the enhanced learning, progression and performance of our learners.